Please enter your last date of use to determine your total sobriety time. 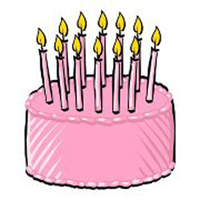 Monthly Birthday Celebrations are held on the last Thursday of each month. Celebrate your recovery birthday with Aventa. This celebration is open to any women who have attended Aventa and would like to celebrate their successes. Join us at 7:00 p.m. for the guest speaker and birthday celebration at no cost. All women who are celebrating their 6 month or yearly Birthdays receive an Aventa Medallion. If you are interested in attending or want to celebrate your own recovery birthday, please call and let us know. Location: The Villa – Basement (610 – 25 Avenue SW, Calgary). Contact: Alumnae at (403) 245-9050 ext. 4694 or alumnae@aventa.org. Aventa will host an open-house style get together for Alumnae on Thursday, December 6, 2018 from 5:30 – 8:00 pm. Festivities will feature hors d’oeuvres and appetizers, Christmas music, and an opportunity to socialize with Staff, Alumnae and other women in recovery in a casual holiday atmosphere. 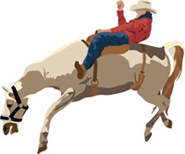 Aventa’s Annual Stampede BBQ will be held on Thursday, July 4, 2019 from 11:30 – 1:30 pm. Dress western and meet with Aventa Alumnae, friends and Staff and get into the Stampede Spirit ‘Recovery Style’. Location: Aventa 610 – 25 Avenue S.W., Calgary, Alberta. We are looking for Alumnae Volunteers to connect with newcomers. Are you interested in sponsoring newcomers? Are you interested in sharing your story or experience with other women in recovery? Are you interested in connecting with other Alumnae by telephone or email? Please contact us and let us know how you can help.